Busy Folks at Big Nerd Ranch! The folks over at Big Nerd Ranch are really busy these days. In addition to building a new learning center it looks like they are writing no less than three new books to be released this year. If you have ever read through Cocoa Programming for Mac OS X by Aaron Hillegass or had the fortune to attend one of his classes then you already know that these new books will likely become a core part of your programming library in the future. 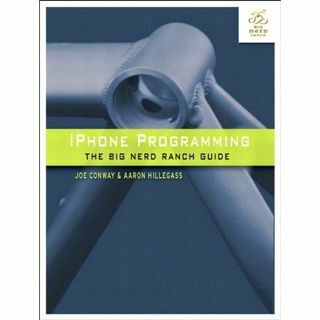 The first new title is iPhone Programming: The Big Nerd Ranch Guide, written by Joe Conway and Aaron Hillegass. According to Amazon this book will be available for purchase on May 4th in paper form and May 6th for the Kindle. You can pre-order it now. 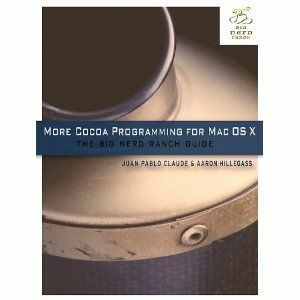 The second new book is titled More Cocoa Programming for Mac OS X: The Big Nerd Ranch Guide and is being written by Aaron Hillegass and Juan Pablo Claude. According to Amazon’s web site this book will be available in mid-July, 2010. At this point it appears the book will only be available in print form. Hopefully this will change and a Kindle version will be made available. The third new book will be titled Objective-C Programming: The Big Nerd Ranch Guide and is being written by Aaron Hillegass and Mark Fenoglio. Amazon pegs the release of this book sometime in December, 2010. Cover art for this book has not been released yet.